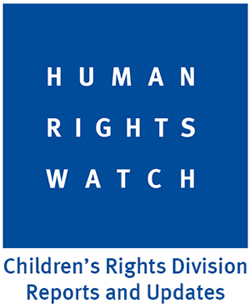 Taking HRW’s “Investigate. Expose. Change.” mission to heart, STF continues to forward effective advocacy in 2007-2008. This year, while they continue their work fighting for the protection of the people of Darfur, they are also working to stop the use of child soldiers. Their perseverance on each of these issues demonstrates the dedication of all STFers to ensuring human rights for all. 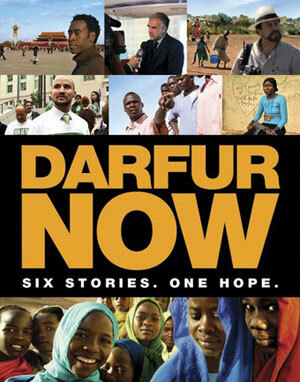 As a final event of the year at both schools, STFers screened this important film that documents the lives of activists, humanitarian aid workers, and others working to stop the violence in Darfur. Canyon STFers collected signatures to deliver to Congressman Buck McKeon’s office, while Wildwood students focused on using the film as an educational tool. STF has met with Henry Waxman twice in the past two years, and at the end of the 2007-2008 school year, the Congressman requested another meeting with an STF delegation. 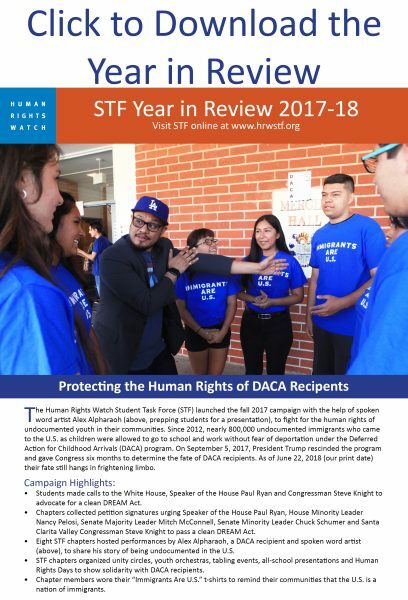 The June 13 meeting was another testament to STF’s dedication to advocating for human rights on a local, national, and global level. An STFer made a public comment about the inclusion of human rights education and cited the STF HRE Student Survey as evidence of the student desire to learn more about human rights. After concluding with a passage from article 26 of the UDHR (“Education shall be directed to the full development of the human personality and to the strengthening of respect for human rights and fundamental freedoms”), STF received a round of applause from all present. Katia Johnstone presents STF survey of students to educators. Over 50 educators, administrators, and activists gathered for this STF-organized event dedicated to promoting human rights education (HRE) in LA-area schools. Keynote speaker Felisa Tibbitts of Human Rights Education Associates (HREA) informed the participants about global HRE practices and offered encouraging research results linking HRE with student achievement. Following this, the attendees convened in workshop sessions to generate recommendations on how to promote HRE in Los Angeles. STF continued their campaign to bring protection to the people of Darfur by hosting Gabriel Stauring’s simulated refugee camp. STF personalized the experience for all who attended by creating an experiential learning event, during which attendees tasted, saw, and felt what life in refugee camps is like for Darfuris. 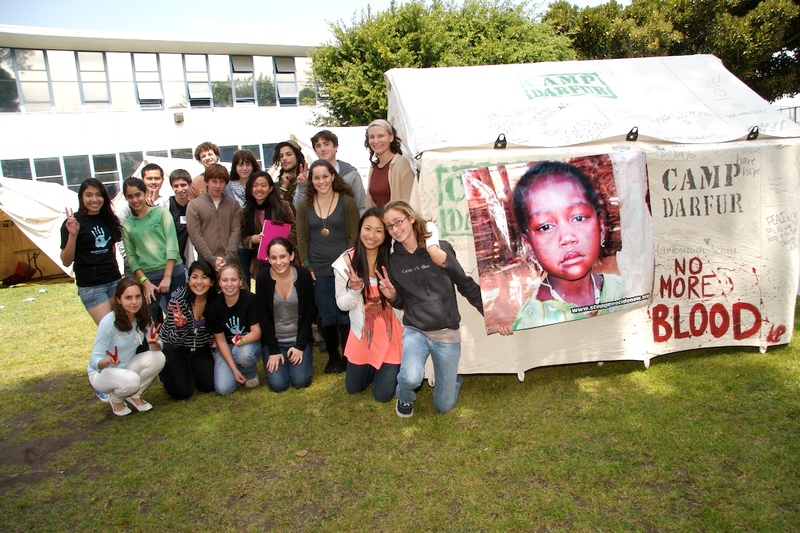 STFers also integrated their two campaign topics and dedicated a tent to the plight of child soldiers. STF celebrated Red Hand Day by engaging the Los Angeles City Council. A four-member delegation presented to the City Council on child soldiers and urged the Council to adopt a resolution declaring Red Hand Day in the City of Los Angeles. Following STFers’ speeches, which the Council received favorably, the resolution passed unanimously. To see the STF presenting to the City Council, click here and go to the scroll down menu to item 28. To view more images from the event, view slideshow. All STFers raised a red hand to stop the use of child soldiers on Red Hand Day. This anniversary of the Optional Protocol to the Convention on the Rights of the Child on the involvement of children in armed conflict aims to raise awareness about child soldiers. STFers postered their campuses, created photo exhibits, and read testimonies to raise awareness about this abuse of children’s rights. They also addressed petitions to Congressmen and collected red hands to send to the United Nations. On 31 January 2008, STFers taught middle schoolers about the global tragedy of child soldiers. The sixth graders asked questions and demonstrated their concern and understanding by taking action. They all made red hands to be sent to the United Nations before February 12, 2009 to urge them to enforce the Optional Protocol to the Convention on the Rights of the Child on the involvement of children in armed conflict to ensure that no child under 18 participates in armed conflict. Nearly 100 Venice High students laid down in solidarity with the victims of Darfur, while their classmates read testimonies and circulated a petition addressed to Congresswoman Jane Harman, urging her to take leadership to bring protection to the people of Darfur. Teachers were impressed with the students’ efforts, and many hoped that this action will become a recurring one. STF launched new Darfur and child soldiers advocacy at a meeting at Wildwood school. For the “School to Tent” program, each STF club will create videos to send to a family in Camp Farchana that longtime STF partner Gabriel Stauring will show to the family on his trips to Chad. Personalizing their advocacy helps STF remain engaged in this crucial human rights issue. This meeting also launched the child soldiers campaign and the Child Soldiers Advocacy Subcommittee. STF had a strong presence at the HRW annual dinner thanks to the generosity of HRW donors. Students and teachers from ten schools gathered early for a reception with the human rights defenders honored at the dinner. Sunila Abeysekera (Sri Lanka) and Hollman Morris (Columbia) shared stories of their human rights work and answered questions. Afterwards, dinner emcee Forest Whitaker guided the audience through the breadth of HRW’s work around the world, expanding STF’s knowledge of human rights and mobilizing them to continue their tireless advocacy efforts. Click here for a photo gallery and here for a slideshow of the event. STF kicked off the year with a Leadership Conference at UCLA, co-sponsored by the Fulbright Visiting Scholar Program. 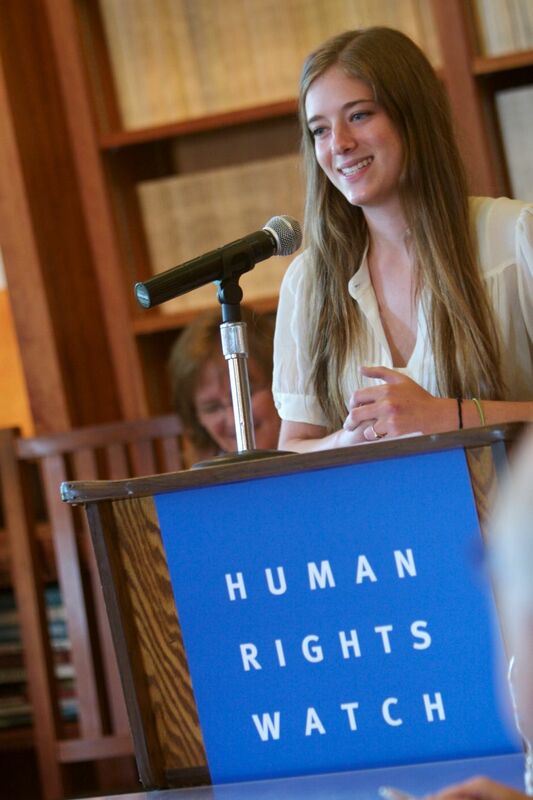 Over 30 students and faculty supporters from ten high schools attended a day of human rights education training sessions. STFers introduced this year’s campaign topics—child soldiers and Darfur—discussed STF operations, and introduced speakers. Multiple Emmy-winning newscaster Linda Alvarez coached STF about pitching to the media, while USC professor Wayne Glass helped STFers understand how to lobby elected representatives.